Good for Sarah Palin! She’s suing the New York Times for defamation and it is richly deserved here. She filed court documents yesterday. 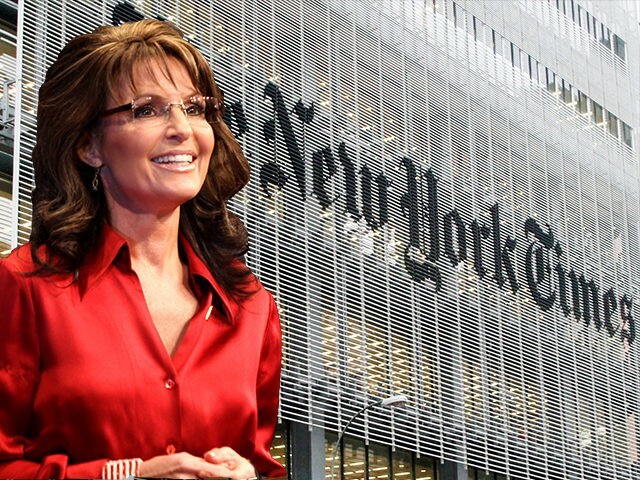 On June 14th, the New York Slimes ran an editorial that falsely claimed that Palin incited the 2011 shooting of Gabby Giffords. That was debunked long ago and there is absolutely no evidence that it is even remotely true. It would appear the New York Times and CNN are on a roll here to see who can outdo who in the fake news department. The whole smearing of Palin over that shooting because of a graphic showing Republicans targeting districts for voting is just obscene and it truly hurt Sarah Palin’s image. I don’t blame her in the least for suing. Sarah Palin is suing The New York Times for defamation, according to documents filed in federal court Tuesday that were obtained by The Daily Caller. 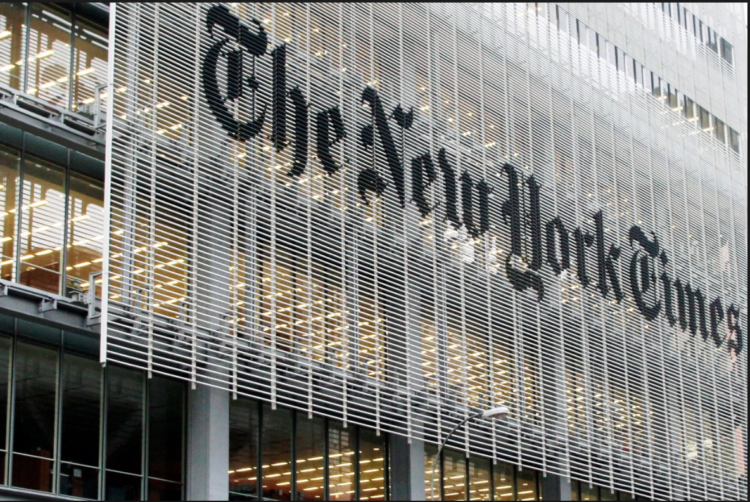 The lawsuit has to do with an editorial the NYT ran on June 14 that falsely smeared Palin as inciting the 2011 shooting of Democratic Rep. Gabby Giffords by a mentally ill man. There is no evidence to support the NYT’s implication that Palin played a role in inciting the Giffords shooting. “Mrs. Palin brings this action to hold The Times accountable for defaming her by publishing a statement about her that it knew to be false: that Mrs. Palin was responsible for inciting a mass shooting at a political event in January 2011,” Palin’s suit states. Palin is claiming that the editorial “exceeded the bounds of legality, decency and civility by publishing the false and defamatory column.” She is seeking a minimum of $75,000 in damages. She should get a hell of a lot more than that, but I think she’s doing this to make a point here. That the targeting of conservatives by the media using lies and accusations has to stop. Palin is using Hulk Hogan’s lawyers who cleaned out Gawker over their stunt against him. So, she’s not messing around here. Palin had previously stated she was considering suing the Old Gray Lady for libel the day after the Times published its editorial even though “it has long been established that there has never been any evidence whatsoever linking Palin to the attempted assassination.” Considering recent events, she has decided to move forward with that legal proceeding. Was this attack evidence of how vicious American politics has become? Probably. In 2011, when Jared Lee Loughner opened fire in a supermarket parking lot, grievously wounding Representative Gabby Giffords and killing six people, including a 9-year-old girl, the link to political incitement was clear. Before the shooting, Sarah Palin’s political action committee circulated a map of targeted electoral districts that put Ms. Giffords and 19 other Democrats under stylized cross hairs. The Times then issued two subsequent corrections that didn’t go nearly far enough. They never corrected that it had falsely stated that Palin had put “Giffords and 19 other Democrats under stylized cross hairs” when Palin did no such thing. Palin’s attorneys are arguing that the Times’ “conduct was committed knowingly, intentionally, willfully, wantonly and maliciously, with the intent to harm Mrs. Palin, or in blatant disregard of the substantial likelihood of causing her harm, thereby entitling Mrs. Palin to an award of punitive damages.” They are correct and this case is going to stick. Hopefully, there will be many more against this form of media bias. (2/2) …WHY someone would no longer be in public eye? Think constant libel & slander have anything to do with it? ??? ?